With the continuous (progressive) tenses as there are some -ing spelling changes so you need to be careful. Let's look at these changes in detail. 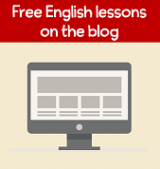 For verbs that end with one -e, drop the -e and add -ing. Note that these verbs the -e sound at the end is silent. (e.g., believe, bake, take, move). Notice these verbs end in CVC (consonant vowel consonant). However, do not double the consonant for verbs that end in w, x or y. When verbs ending in ending in CVC (consonant vowel consonant) have two or more syllables, double the last consonant if the last syllable is stressed. However, when the last syllable is not stressed, just add -ing as usual. 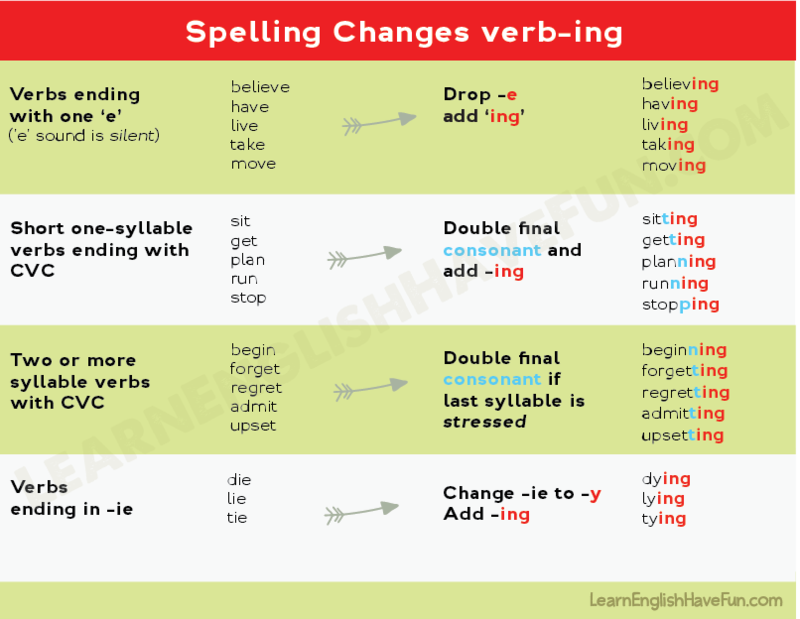 If a verb ends in -ie change 'ie' to 'y' then add -ing. Click here to learn how to form the present continuous, past continuous, future continuous, present perfect continuous, past perfect continuous and future perfect continuous tenses.